Connecticut Drug and Alcohol Treatment Facilities. Are you looking for Connecticut Drug and Alcohol Treatment Centers? Our listings listed below can help. In Connecticut, drugs are distributed and sold within the state. It also acts as a hub for the distribution of drugs to other parts of the country. Many of the drugs bought in for sale, come from New York. This is not completely surprising considering Connecticut’s close proximity to New York, a state with many global drug networking connections. Drugs coming into New York from Connecticut are not only sold there, but also shipped out to other states such as Vermont and Massachusetts. Cocaine and heroin is smuggled in from Connecticut to these states, often times by train or commercial and private vehicles. The drugs which pose the biggest threat to Connecticut are heroin, cocaine, powder and crack. Opiates, amphetamines, marijuana and pharmaceutical abuse are concerns as well. Club drugs such as MDMA (ecstasy), LSD, GHB and Ketamine can also be found in Connecticut. They are used mostly by younger persons, on college campuses, at raves and clubs. Pharmaceutical drug abuse has become problematic in Connecticut. This is true for many states around the country. Figuring out how to control this dangerous ‘epidemic’ has posed a challenge to law enforcement around the United States. Percocet, Oxycontin, Xanax, Ritalin, Valium and Vicodin, are the ones most abused in this state. 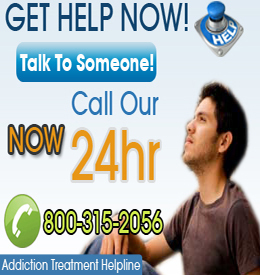 Choose a City to Find Addiction Help in Connecticut.